Chelsea travel to Selhurst Park to face a Crystal Palace side ravaged by injury, as the Blues look to match their best ever Premier League match-winning streak. Recent matches against West Brom, Manchester City, Tottenham and most recently Sunderland, have showed that the Blues aren’t completely invincible and do have their weaknesses, some of which Alan Pardew will hope to exploit even with an injury plagued squad. Palace currently sit at 16th place on the table, 3 points away from the relegation zone and will be desperate to try and get a result, especially after that narrow loss against Manchester United in midweek. Any kind of result against the Blues will surely be a huge confidence boost for the Eagles, but Antonio Conte won’t stand for anything but a victory. Alan Pardew will be without a number of players for this tie. Summer acquisition Steve Mandanda is set to miss out the upcoming clash, as will defenders James Tomkins and Pape Souare. Midfielder Bakary Sako and most of the Eagles strikeforce, Loic Remy, Connor Wickham and Jonathan Benteke are all ruled out through injury. With 7 players unavailable for selection, things are dire and needless to say, Alan Pardew will have something of a selection headache when he welcomes a near full strength Chelsea squad. Crystal Palace will likely line up in their 4-5-1 formation, and that midfield formation will be focused on keeping Matic and Kante in the middle of park as quiet as possible and reducing their influence on the game. Ledley, Puncheon and Cabaye will be asked to harass and apply constant pressure on the Blues when they don’t have possession. 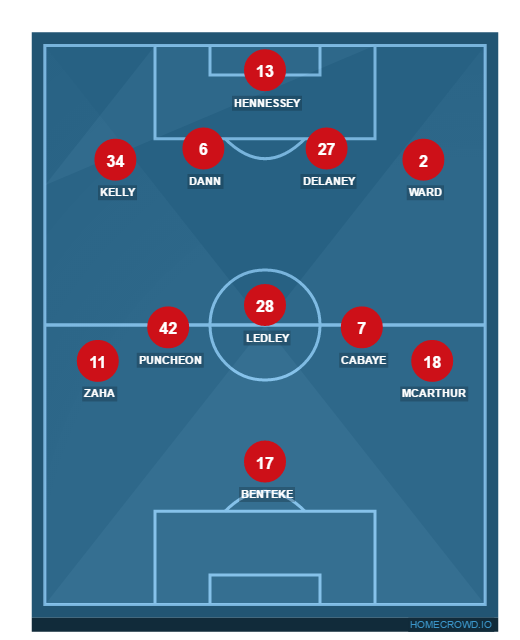 Zaha and Mcarthur on the wings will be key to the Eagle’s counter attack and feeding Christian Benteke with the crosses and opportunities. With Cabaye on the pitch, there exists another danger of set pieces. The Blues have received a boost ahead of this tie, with Eden Hazard set to return after a small injury he picked up before their tie against Sunderland. Captain John Terry is still out with an injury and it is unlikely that Oscar will feature given the speculation regarding his future. Otherwise, the Blues have no injury concerns, just that fatigue may play a part in their performance. Matic will likely return into the starting XI after being left out in favour of Sunderland, to provide Chelsea with that extra physicality in midfield. Fabregas will surely feature in some capacity later on in the game, if Chelsea need that extra boost of creativity. Matic and Kante are expected to come up against a 5 man midfield, who will mainly be on the defensive, so distribution will be key. Chelsea’s biggest attacking threats come from the wings, with Hazard’s return significantly strengthening this side once again. 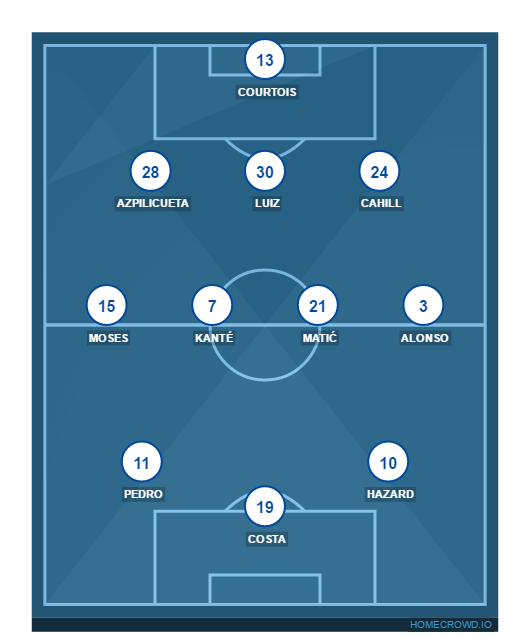 The Crystal Palace fullbacks will have their hands full with the overlapping runs of Alonso and Moses, and Hazard and Pedro cutting into the center and combining with or setting up goals for Diego Costa upfront. Chelsea have lost just 1 of their last 8 London Derbies, against Arsenal earlier this season. Chelsea are on course to match their best Premier League winning streak, set in 2009. Only 2 people have scored past Chelsea in the past 10 Premier League games, Christian Eriksen of Spurs and Gary Cahill via an own goal. Crystal Palace striker Christian Benteke has scored 4 goals in his last 6 Premier League appearances against Chelsea. This will be Alan Pardew’s 302nd Premier League game in charge, making him the joint number 10 on the all time managerial list. On paper, Crystal Palace would have to come up with something special to prevent Chelsea from leaving Selhurst Park with all three points. 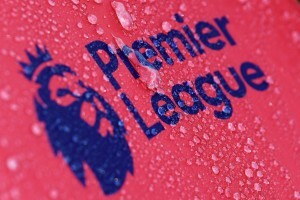 However, Alan Pardew will take confidence from their performance against Manchester United and Chelsea recent attacking form. The Blues have slowed down in recent weeks and while they’ve managed to churn out victories, they aren’t as convincing and rampant as they were a month ago. They aren’t as convincing as they are away, but should manage to come out of this with a narrow victory if Crystal Palace put up a fight.